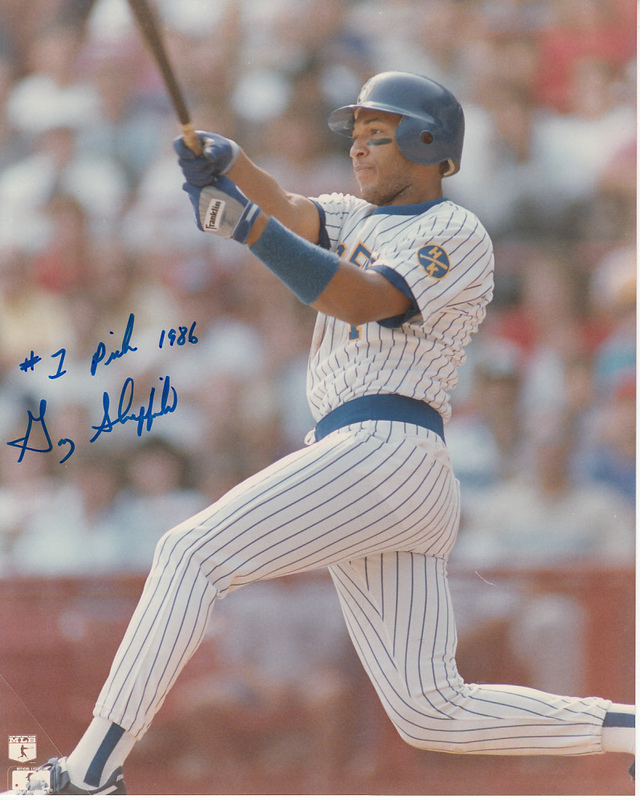 Vintage 8x10 Milwaukee Brewers action photo autographed in thin blue marker by former superstar Gary Sheffield and inscribed #1 Pick 1986. With certificate of authenticity from AutographsForSale.com. ONLY ONE AVAILABLE FOR SALE.